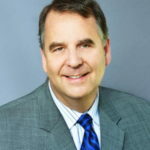 Tribune has found a new vice president and general manager for WGN-TV and his name is Paul Rennie, who comes from sister stations WTTV and WXIN in Indianapolis. Rennie succeeds Greg Easterly, who moved to New York to take the open WPIX GM position. Rennie also will oversee CLTV, Tribune’s local Chicago news channel. Rennie will have the task of converting WGN from a CW affiliate to an independent when the transition takes place on September 1, with WGN significantly expanding its news and sports programming. Rennie oversaw the transition of WTTV from a CW affiliate to a CBS one in 2015, creating a news operation from scratch, even though sister station WXIN already had a news operation. The moves paid off with a huge ratings increase. Before his stint in Indianapolis, Rennie was General sales manager at Tribune’s Seattle duopoly on Fox affiliate KCPQ and independent* KZJO. While there, Rennie helped form a relationship with the Seattle Seahawks, whereas KCPQ carries most of their games. 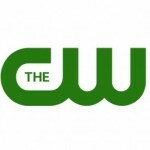 Speaking of The CW, the first promo touting the network’s move to Fox-owned WPWR-TV was released recently, indicating the station will soon be branded “Chicago’s CW 50” and takes place on September 1 – a Thursday. During the Fox channel realignment of the 1990’s, most affiliation switches took place either on Sunday or Monday instead of the middle of the week, thus reducing confusion for viewers. 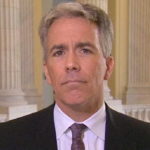 An update to the Joe Walsh controversy: as reported by Robert Feder on Monday, Walsh has added three new markets to his radio show, taking the number of stations carrying his program to a whopping eight. This comes after Walsh made racially charged Twitter comments against President Obama and activist group Black Lives Matter last week after five Dallas police officers were killed. To no one’s surprise, Salem and WIND officials declined comment on the matter. In a unusual arrangement, Walsh buys his time on several radio stations, but not on WIND where he is an employee of Salem. License revocation is rare – the last time the FCC pulled or declined to renew a license of a radio or TV station was in 1990 when WSNS-TV’s license was revoked in a rather complicated and confusing case that wasn’t settled until three years later. In an inane Los Angeles Times article Wednesday, a TV critic wrote about how the measure of success in television these days isn’t how many viewers you attract, it’s how many Emmys you win. This comes as some pundits are looking for something other than ratings or even social media to determine buzz. While there is always an plethora of doubt surrounding TV ratings, they are the only device we have to measure how many viewers are watching a show (social media works too, but a person can easily say he/she isn’t watching so-and-so program tonight or outright hates it.) The system isn’t perfect, but you roll with the punches. And besides, media buyers and advertisers could care less about such awards. Despite controversies, the Oscars still attract far more viewers than the Emmys does – not exactly “belle of the ball” material. Yes, we all understand there is a glut of scripted programming, or putting it in a more simple context: “there’s too much TV”, as FX executive John Landgraf pointed out last year at the TCA tour, splitting the audience pie thinner and thinner in this age of “Peak TV”, or whatever the hell the media wants to call it. But I don’t think media buyers are convinced an Emmy would enable them to reach the most viewers possible in the right demographic, unless the show has a high concentration of upper-income viewers. What would be a better buy for Buick featuring Tina and her new car? A spot on America’s Got Talent? Or one on Preacher? And while HBO and Showtime does have a wealth of buzz-worthy programming, keep in mind it is a premium channel with no advertising. Why do you want to impose their system on the rest of the TV industry? It’s like trying to run an Android app on an iPhone. If Emmys are more important, then why do we have an Upfronts season then? You can’t sell a show based on how many awards it won – the cast and crew aren’t working for free, you know. Plus, if we measured success by Emmys, rest assured 90 percent of the programs on TV or on streaming services wouldn’t be on the air – so long Bachelor, Fuller House, and Jerry Springer. This is just another example of how some critics fail to understand the TV business – it actually is a business. 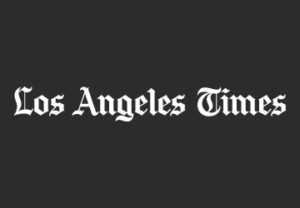 But it’s easy to understand the piece given the owner of the Los Angeles Times tries to explain how it does business in the most asinine way possible. * -KZJO is technically a My Network TV affiliate, but doesn’t acknowledge it on-air and the programming block airs from 1 to 3 a.m. – T.H.